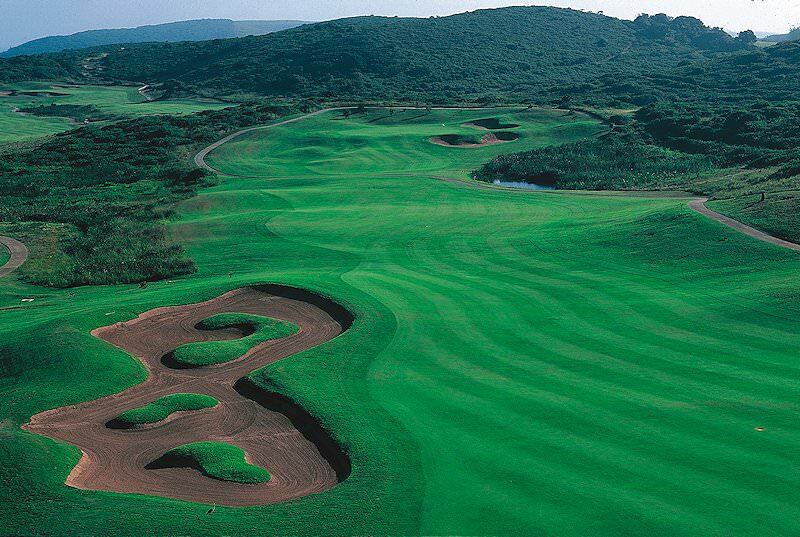 KwaZulu-Natal's temperate climate and spectacular natural beauty means that it offers some of the most beautiful courses in the country. Guests are met upon arrival at O.R. Tambo International Airport in Johannesburg. 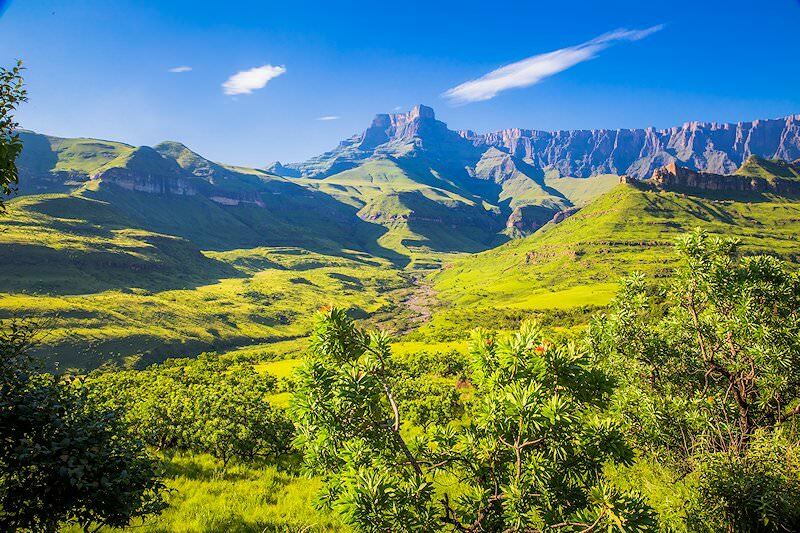 The tour heads south on the N3 highway, driving through the vast open farmlands of the Free State before reaching the rich, green majesty of the KwaZulu-Natal province. 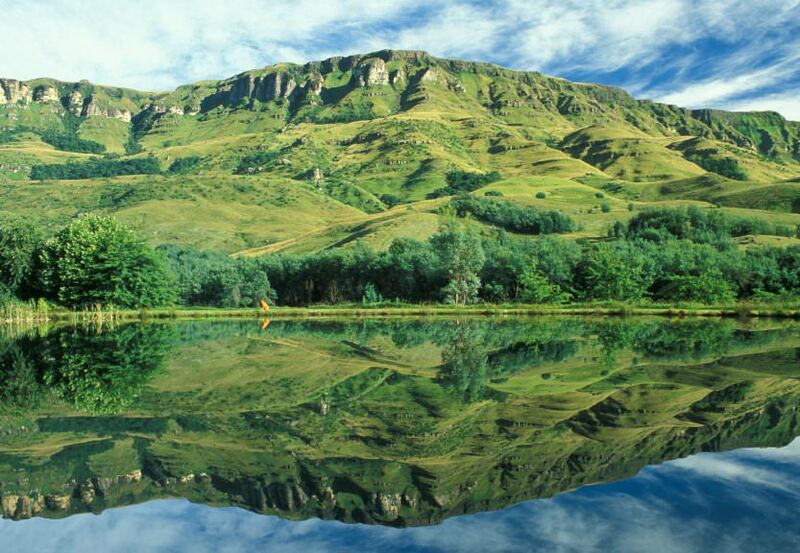 We arrive at Champagne Sports Resort at the foot of the Drakensberg Mountains in the late afternoon. 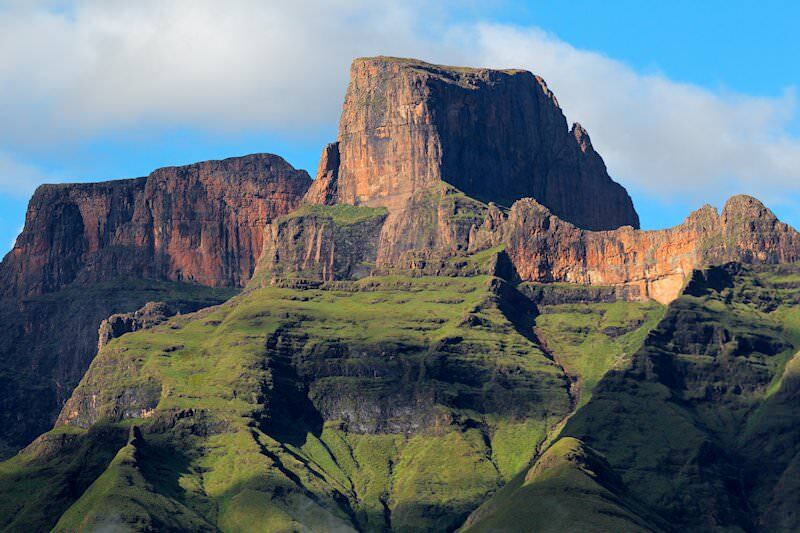 Revel in the striking sunset across the jagged crowns of Cathkin Peak and Champagne Castle before settling down for dinner and your first evening in the Drakensberg. The day is devoted to the great outdoors, starting with a round on the Champagne Sports Resort Golf Course shortly after breakfast. 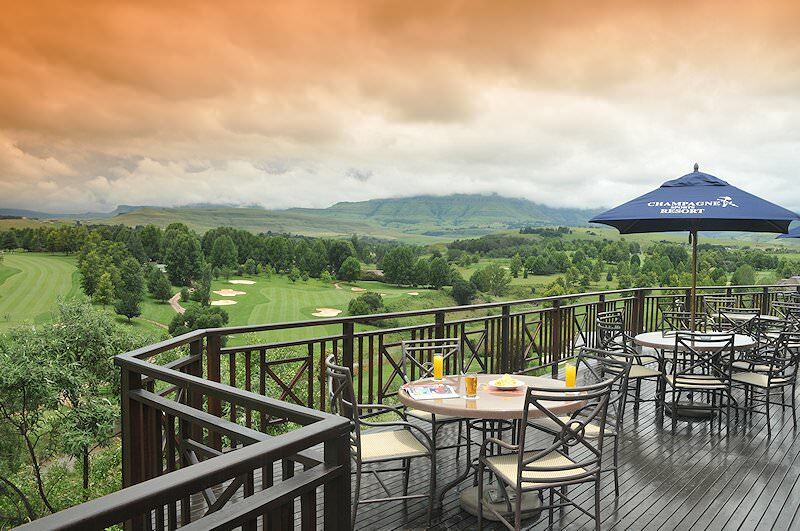 The championship parklands-style course is characterized by its spectacular position beneath the breathtaking basalt facade of the Drakensberg Mountains. Designed by professional golfer Hugh Baiocchi, the sprawling Kikuyu fairways and immaculate bent greens offer satisfying playability for every class of golfer. The afternoon is spent at leisure, providing guests with the opportunity to venture out on a hike, explore the landscape on horseback or observe a falconry demonstration. Following an early breakfast, we return to the N3 highway and head towards the coast. 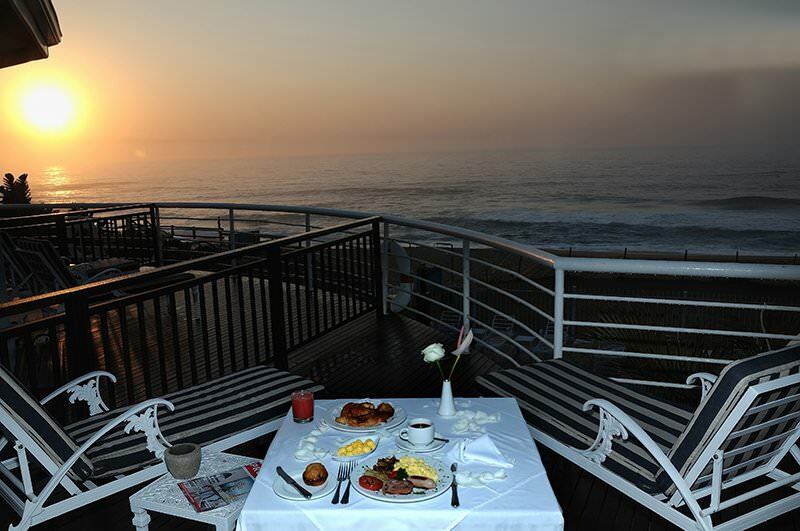 Once the road reaches the bustling port city of Durban, we turn south and trace the coast down the N2, passing popular seaside retreats like Amanzimtoti, Port Shepstone, and Margate before reaching the sub-tropical wares of San Lameer. After check-in and lunch, guests tee off on the San Lameer Golf Course, a Peter Matkovich-designed parklands course adorned in towering palms and glossy pools. Antelope such as impala, bushbuck, and duiker are regular (and wonderfully indifferent) spectators. After breakfast, a short drive brings guests to the coastal Southbroom Golf Club. 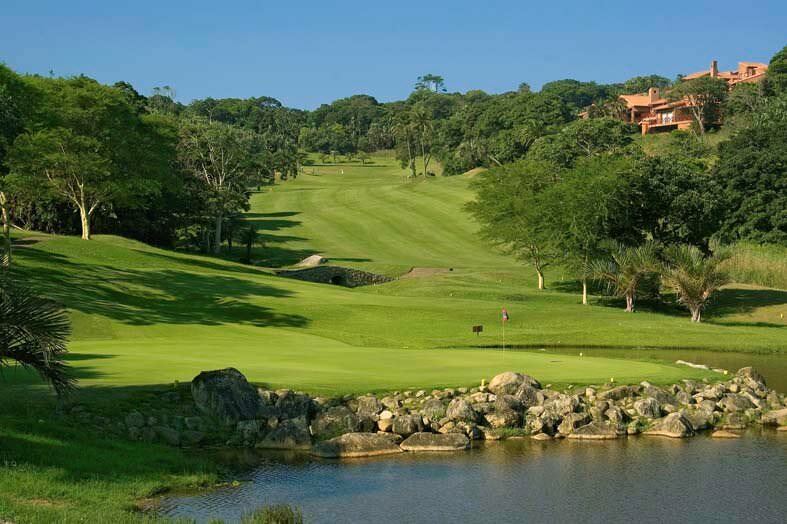 The parklands course is thick with subtropical vegetation and overlooks a long stretch of beach alongside the blue sparkle of the Indian Ocean. 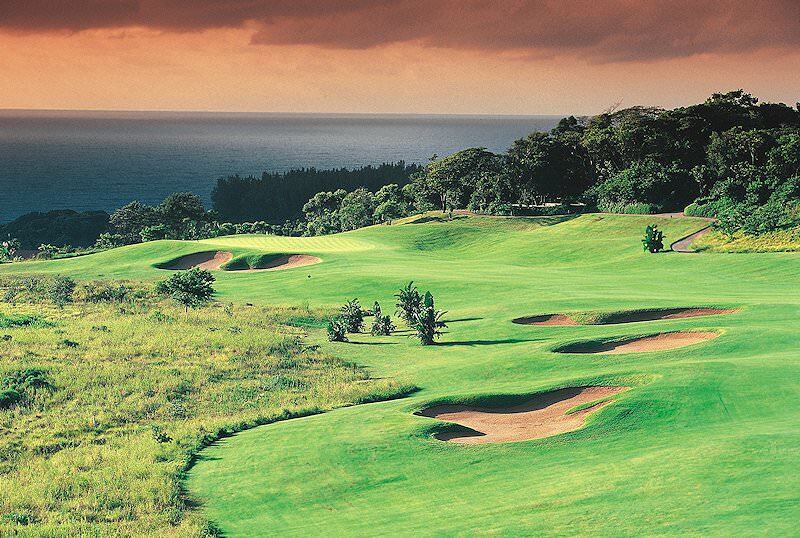 KwaZulu-Natal’s temperate climate ensures that the course can be enjoyed year-round. We return to San Lameer in the afternoon, where guests are at leisure to stretch out on the pristine Blue Flag beach or opt for a pampering treatment at the Camelot Spa. 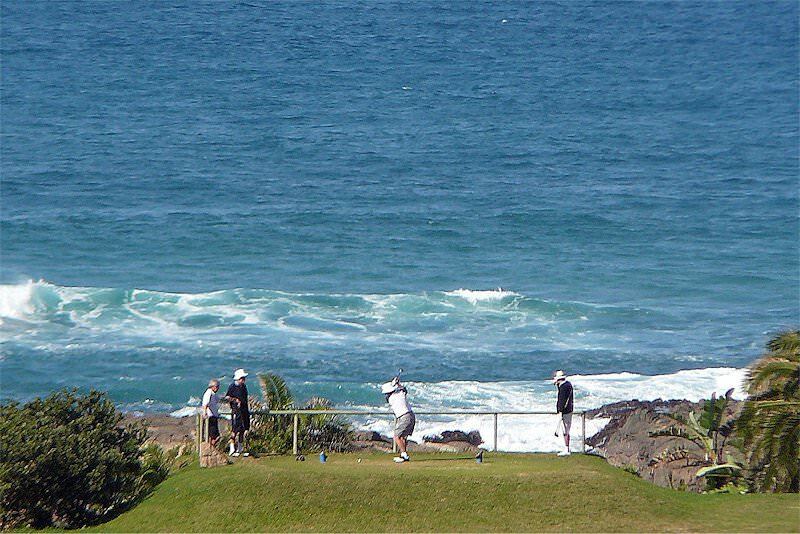 Following a drive of around half an hour south, your golf tour arrives at the Wild Coast Sun Country Club, located on the border of KwaZulu-Natal and the Eastern Cape. 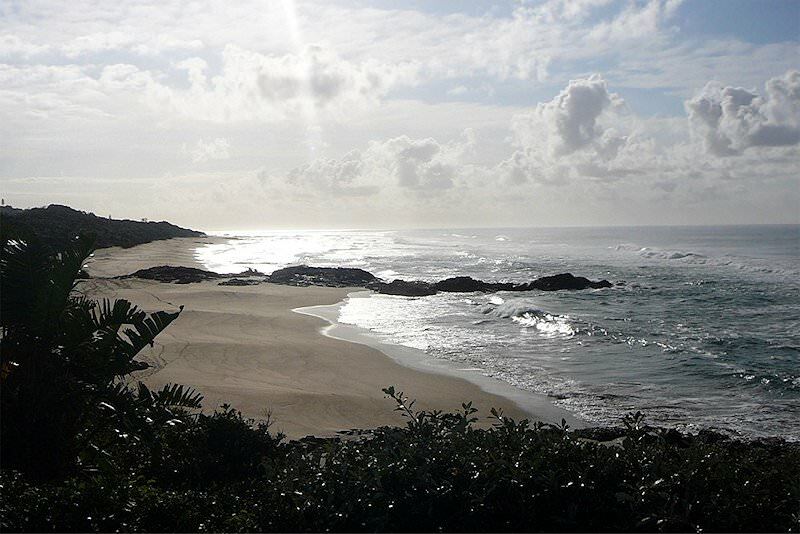 This is where the raw coastal beauty of the Transkei meets the subtropical balm of the Zulu Kingdom, providing a most spectacular backdrop to a game of golf. 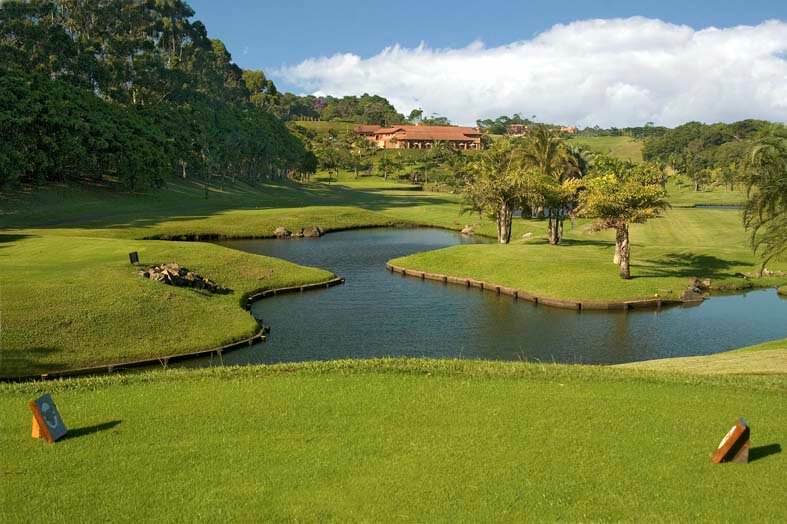 The parklands-style course enjoys views of both the uMtamvuna River and the Indian Ocean. Following a round of golf, guests may have their pick of the resort’s many entertainment options, including a newly built Wild Waves Waterpark and casino. We return to San Lameer in the late afternoon. After breakfast the tour heads north, once again traversing small beachside towns and passing Durban en route to Zululand. 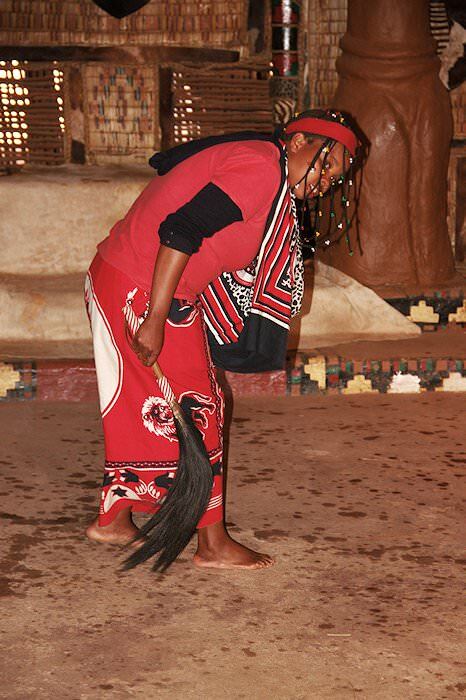 We arrive at Shakaland midmorning, where guests will embark on ‘the Nandi Experience’, named after Shaka’s mother. 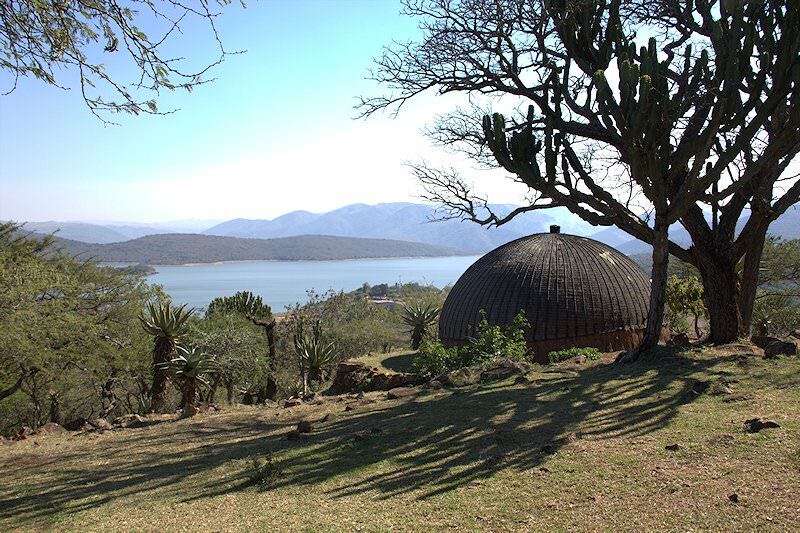 Following a short audio-visual about the great Zulu warrior, guests will enjoy a guided tour of the Royal Kraal and be regaled with the legends of the centuries past. 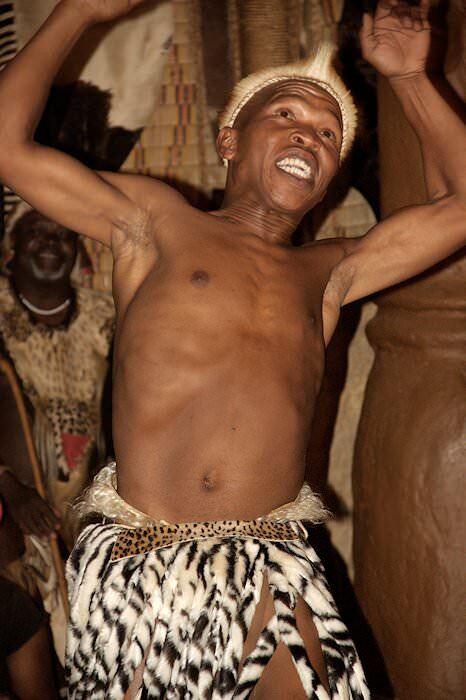 An exciting dance ceremony is followed by a traditional-style lunch at the Shisa Nyama restaurant. The tour then heads back down the coast, arriving in Ballito in the late afternoon. 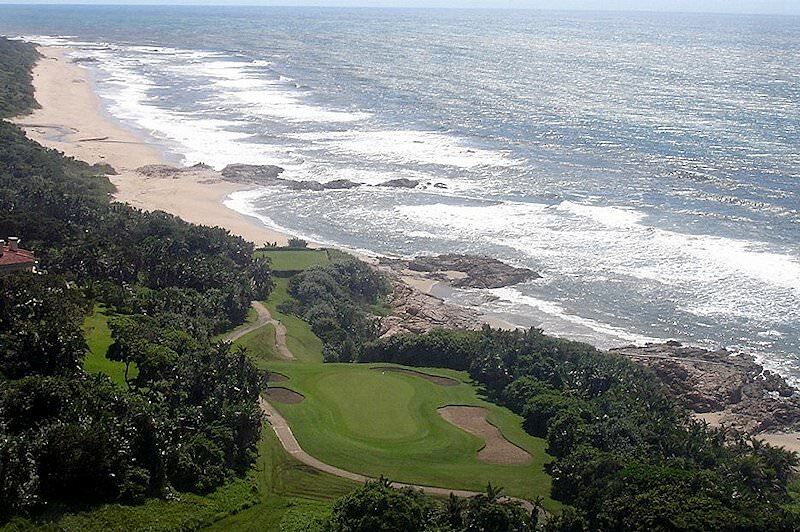 The morning is dedicated to playing, a round on the breathtakingly beautiful Zimbali Golf Course, a coastal forest links-style course that rolls its fairways across the dunes and melts away toward the Indian Ocean. 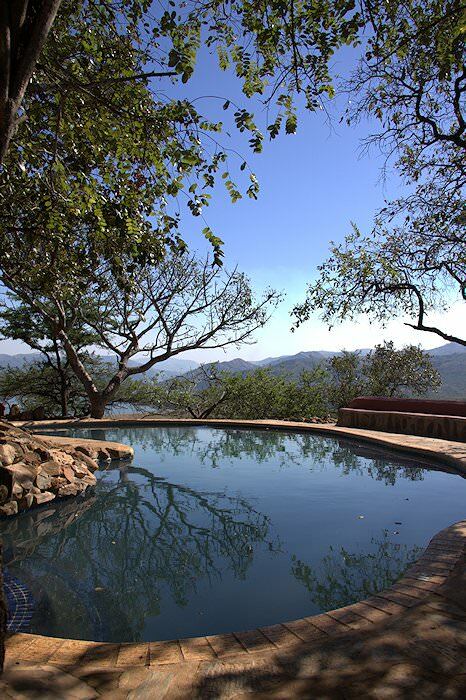 The lush forests of the estate draw songful flurries of birds and even mischievous monkeys. The afternoon is spent at leisure, providing guests with the opportunity to explore charming little Ballito or soak up the sun on the beach. Following breakfast, guests are transferred to Durban’s King Shaka Airport for a short flight back to Johannesburg where an unforgettable South African golf tour. Our personal tours of South Africa offer excellent value for money. Relish five star accommodations and memorable adventures. Our exclusive tours are characterized by unadulterated luxury. Take a day to explore Cape Town or Johannesburg with African Sky. Travel at your own pace and enjoy the thrills of self-exploration. 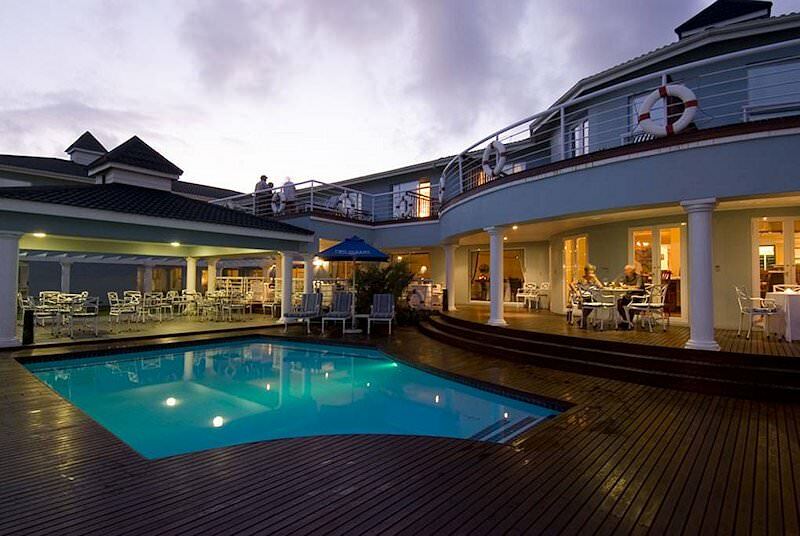 Customized South African tour packages for discerning travelers. Cape Town offers an alluring combination of eclectic city life and captivating natural beauty, making it a highly sought-after tour destination. Our tours of the Garden Route will appeal to both the fun-seeking family and the romance-seeking honeymoon couple. Tour the Cape winelands for a delightful adventure that will include several wine tastings and rejuvenating leisure time. The golf tours offered by African Sky match fantastic championship golf courses with exciting local attractions.